Photo Gallery Thursday " An Elegant Lady at Bergdorf Goodman"
Bergdorf Goodman's holiday windows are always just such a piece of artwork. Each year it gets better and better. 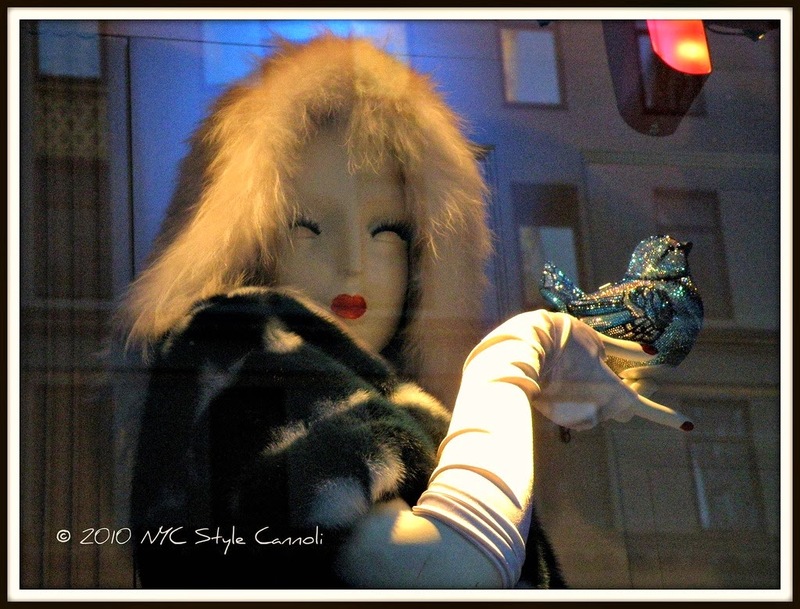 This shot was from their 2010 Windows, and I just loved this lady. Their mannequins are the most stylish, her lipstick is sparkle red, the nails are painted and oh those eyelashes! The bird handbag she is holding is just divine. I cannot wait to see what they do this year. Have you had the chance to view any of their holiday windows? What did you think? Wow, Christmas decor on display!! Christmas is coming. I can't wait to see Bergdorf's Christmas windows. For sure it will be grand and fantastic!